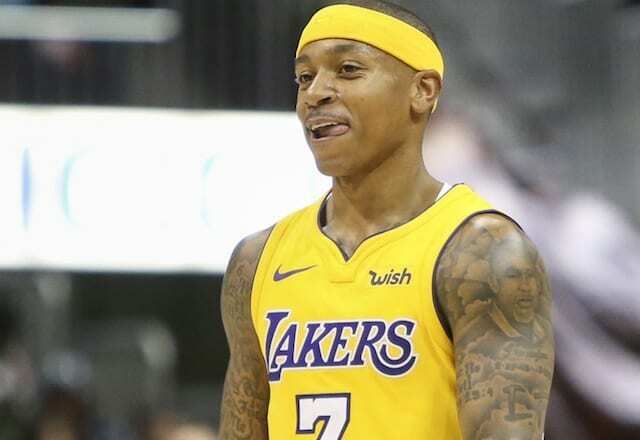 One of the bigger talking points after the Los Angeles Lakers acquired Isaiah Thomas in a deadline trade with the Cleveland Cavaliers was whether or not he and rookie Lonzo Ball would be able to play together in the same lineups. But while Thomas and Ball are both ostensibly point guards in terms of their positional designations, the two are also both very different players of very different sizes, with Ball a larger lead guard who could in theory defend the bigger player in the opposing backcourt. Due to Ball’s knee injury leading the Lakers to bring him off of the bench, the team has gotten more of a chance to run out that pairing than they might have even thought when they made the trade. That ease has shown itself in how well lineups featuring Ball and Thomas are faring so far. While the two have only played a relatively small sample of 37 minutes together, lineups with Ball and Thomas have posted an offensive rating of 117.7 defensive rating of 110.8, meaning they’ve outscored opponents at a rate that would equal 6.9 points per 100 possessions. That would easily be the best mark of any Lakers pairings if it was prorated over the whole season, but Ball and Thomas still have a lot more minutes to play together before getting declared as the team’s next dominant duo. Furthermore, it should be noted that in addition to the small sample size, the minutes Ball and Thomas have played together have come against the Dallas Mavericks and Atlanta Hawks, two of the worst teams in the league. Still, if it feels this ‘easy’ for the two to get used to playing alongside each other already and their success continues for the rest of the season, it will be worth asking the question if a score-first point guard like Thomas is the best type of player to make Ball’s life easy moving forward. 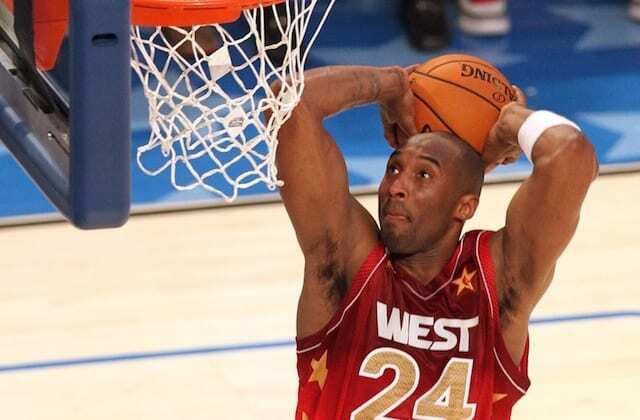 For Thomas, he certainly isn’t objecting to potentially re-signing with the Lakers as a free agent this summer.